Since July 1st, 2013 Europe Racking NV has taken over the Storage System division from Bosal. Bosal is one of the leading manufacturers of exhaust systems in the world. Bosal supplies exhaust to for OE and aftermarket purposes. The Bosal Group also produces precision-tubing, towbar systems, roof racks and plays a leading role in the production of high-tech catalysts. 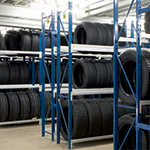 Originally Bosal designed warehouse racking for its customers, the auto parts wholesalers. The effective lay-out improved their storage efficiency. Soon other companies also showed great interest in the storage solutions provided by the Bosal warehouse racking division. 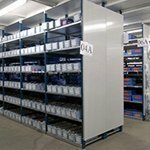 The unique concepts make us a leading manufacturer of warehouse racking, that contributes to the profitability of the companies that use our products such as racking, mesh walls, etc. 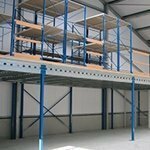 Europe Racking designs and produces warehouse-racking systems. The production facility is located in the Netherlands. Here tailor-made solutions for complex storage problems are designed and produced. Quality and personal attention is our top priority! 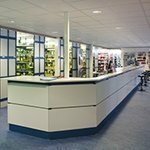 Solutions are designed specifically to suit the requirements of the modern business, taking into consideration all aspects of space utilisation, workplace efficiency, health and safety, local authority regulations and cost effectiveness. After an initial consultation with one of our Business Development Managers, our experienced design team will assemble a solution to best suit your needs in order to maximise your storage capability. Europe Racking is here to help you with the same team as before. If you have any questions or request more information please feel free to contact us.